Extremely early maturing, tight, solid, small heads with few outside leaves. 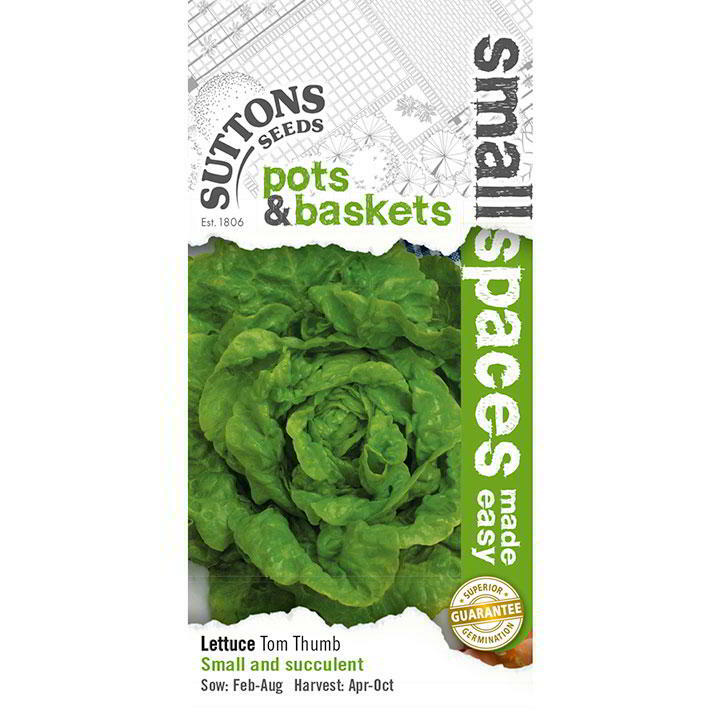 Tom says: Quick and easy lettuces are many peoples first veggie crop. 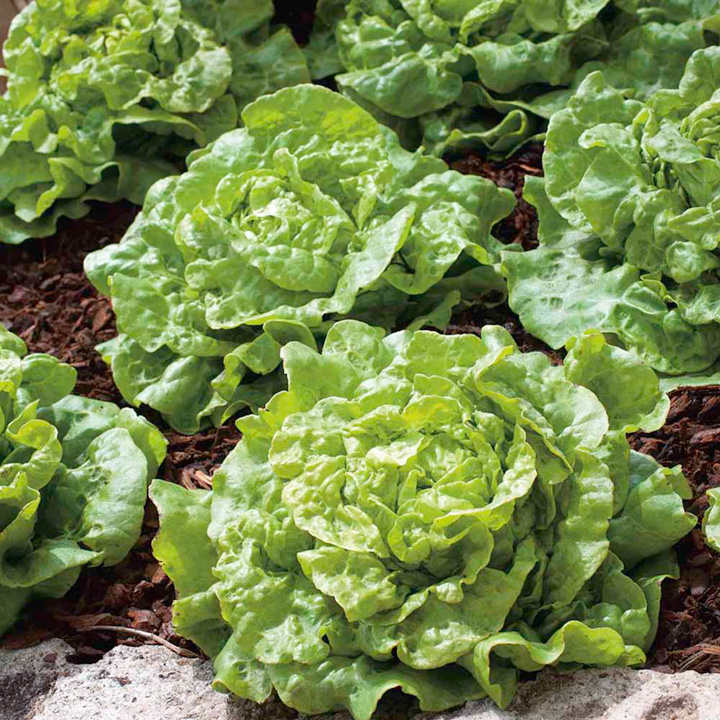 Try mixing red and green lettuce leaves to add a note of bitterness to salads, or try slicing up little gem lettuces and sautéing with peas and garlic for an alternative homegrown lunch. Sow thinly into warm, moist soil or compost, in pots or containers at a depth of 13mm (½"). Germination 6-12 days. Thin seedlings to 15cm (6") between plants. Can also be sown or planted under cloches for earlier production. 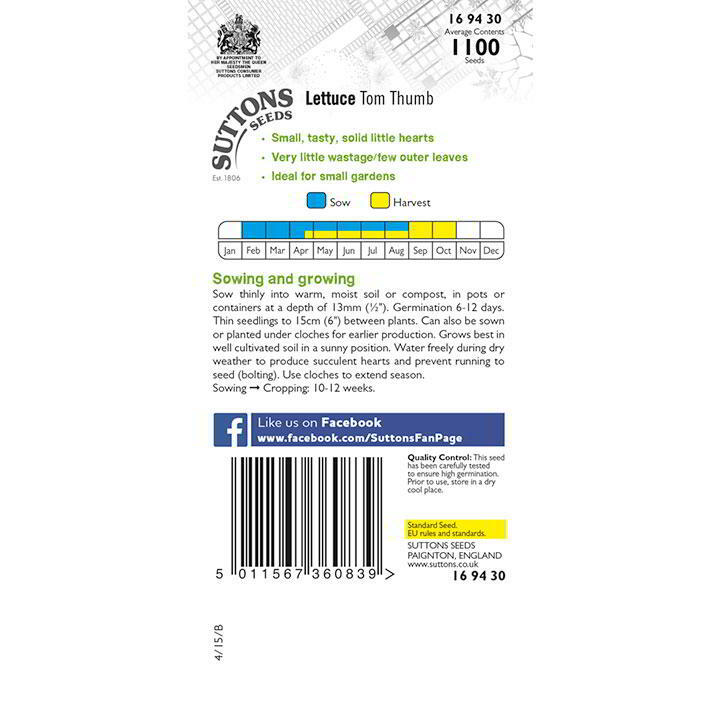 Grows best in well cultivated soil in a sunny position. Water freely during dry weather to produce succulent hearts and prevent running to seed (bolting). Use cloches to extend season. 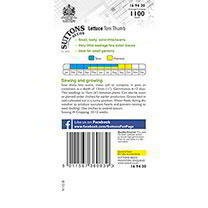 Sowing to Cropping: 10-12 weeks. 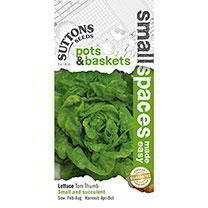 Ideal for small spaces - pots and baskets, windowsills, raised beds and containers. Variety suitable for early sowing under cloches.